The Gainesville Renewable Energy Center is a nominal 100 MW wood- red biomass power generation facility located in Gainesville, Florida, USA. The plant provides about 30% of Gainesville Regional Utilities’ power, reducing the area’s dependence on energy from fossil fuels and greenhouse gas emissions. 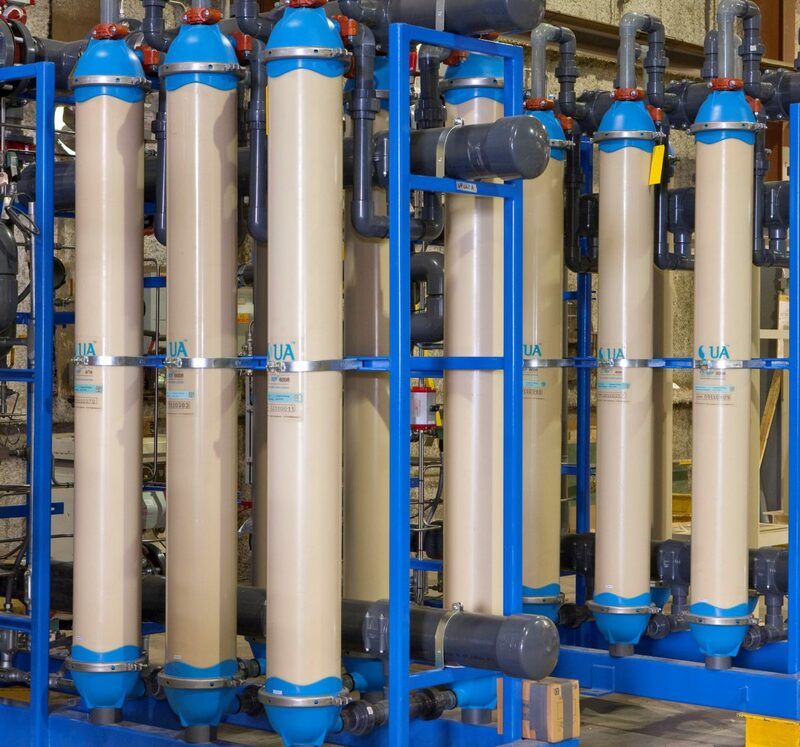 the installation and commissioning process and provided the client with the strong support needed to ensure that the treatment system was running smoothly without any issues. 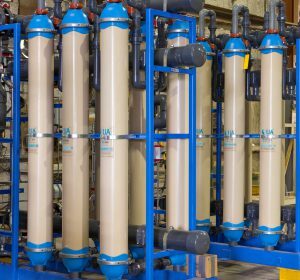 Q-SEP® hollow fiber ultrafiltration modules contain membranes manufactured with QUA’s innovative patented “Cloud Point Precipitation” method. This process ensures a high pore density along the length of the fiber and uniform narrow pore size distribution in the membrane. Q-SEP modules deliver superior performance characteristics and product water quality that surpass the quality from conventional UF modules. The narrow pore size distribution allows the membrane to produce water with a low silt density index (SDI). The lower product SDI leads to less frequent and easier cleaning of downstream RO membranes. In addition , the Q-SEP membranes provides an excellent rejection of bacteria and viruses. Fractional Electrodeionization (FEDI) is an advancement of EDI technology that was developed to address the limitations of conventional EDI. FEDI is a patented two-stage process that operates in a dual voltage configuration to reduce hardness scaling that may occur in conventional EDI. FEDI’s unique design maintains an acidic condition in the first stage and basic condition in the second stage of the electrodionization concentrate chamber. This patented design reduces mineral scaling in the first stage and enhances silica removal in the second stage.